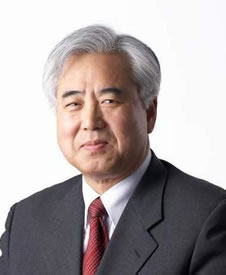 Dr. Yong-Lin Moon is the current Minister of Education for the Seoul City Schools, Professor Emeritus at Seoul National University, and a former Minister of Education and Human Resources Development for South Korea. He is a 1987 Ph.D. graduate of the University of Minnesota's College of Education and Human Development, and in various posts, has exerted an enormous influence on South Korea educational policies. Dr. Moon is applauded for his persistence and bravery in filling the role as the first Minister of Education and Human Resource Development (HRD) in South Korea. In this position, he also served as Vice Prime Minister for the Republic of Korea. He is a pioneer who has attained the reputation as a senior leader in Korean education and HRD. Dr. Moon’s work has had a significant impact on all levels of education throughout South Korea. His reforms focused on preparing students for the information era supported by a more effective technological infrastructure, and changing educational methods to enable students to improve their problem-solving and critical thinking skills. His efforts have made South Korea’s educational system focus more on the societal needs of children, their protection, and development. Dr. Moon has also been influential in changing the perspective in adult education. He implemented various reforms and, as a result, the general attitude toward adult education has changed dramatically and the number of adults pursuing their degrees has increased. His publications have focused on civic education, moral development, and educational policy. Among his major publications is “Future Direction of Korea’s University Education and Education Reform for the 21st Century” and a chapter in the book “Fighting Corruption in Asia: Causes, Effects, and Remedies” that he published with U of M Professor Emeritus Gary McLean. In December 2012, he was elected Minister of Education for the Seoul City Schools, one of the largest school districts in the world with an enrollment of more than 1.5 million students and a budget of more than $7 million U.S. dollars. Through a combination of prestigious leadership and academic roles, Dr. Moon has both created a design for the educational future of his country and succeeded in bringing that vision into reality. In naming Dr. Moon as a recipient of the Distinguished Leadership Award for Internationals, the selection committee cited the visionary and effective leadership that this award represents.